We made something physical, and shipped it to customers around the world! Read the story behind bosancica-posters.com below. 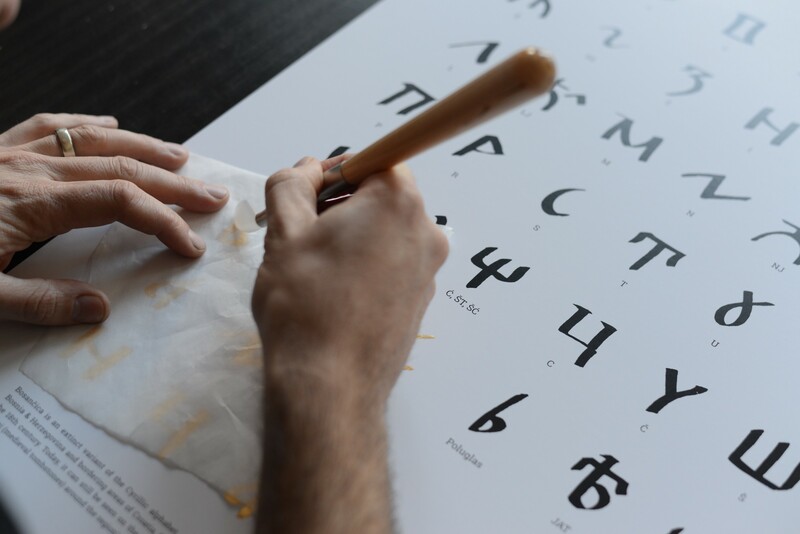 It was over a year ago that I read a post about a print project by Goran Peuc, a Croatian UX designer at SAP. It inspired me to embark on a print project of my own. 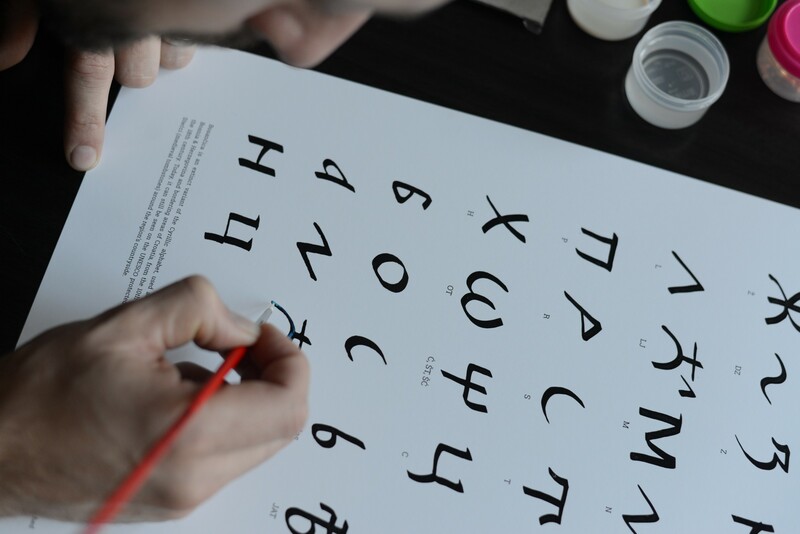 In his post, Goran detailed the process he went through to bring the ancient Croatian alphabet, called Glagolitic alphabet, to life and into people’s homes in the form of a fine art poster. 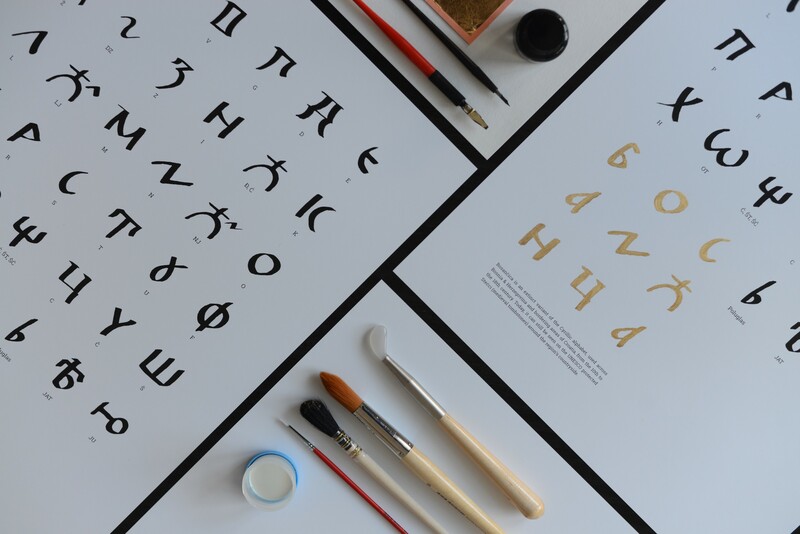 Being from the same region (I was born in Sarajevo, Bosnia & Herzegovina), I was aware of a similar alphabet called Bosančica that was used in Bosnia & Herzegovina and parts of Croatia between the 10th and the 18th century. So, in true ‘steal like an artist’ style, I decided to adapt the approach Goran took and produce something similar for Bosančica. I reached out to Goran to make sure he was OK with me adapting his idea. I also recruited my wife, Emily, as the calligrapher in chief, and set off from there. Aside: this is what I love about the online design community — someone on the other side of the world, whom I’ve never met, was happy for me to take their idea, remix it and create something that heavily borrows from theirs. Goran was even happy to answer my questions. Given we were starting by stealing someone’s idea, we really wanted to add something and evolve it. We did this by adding different product types. 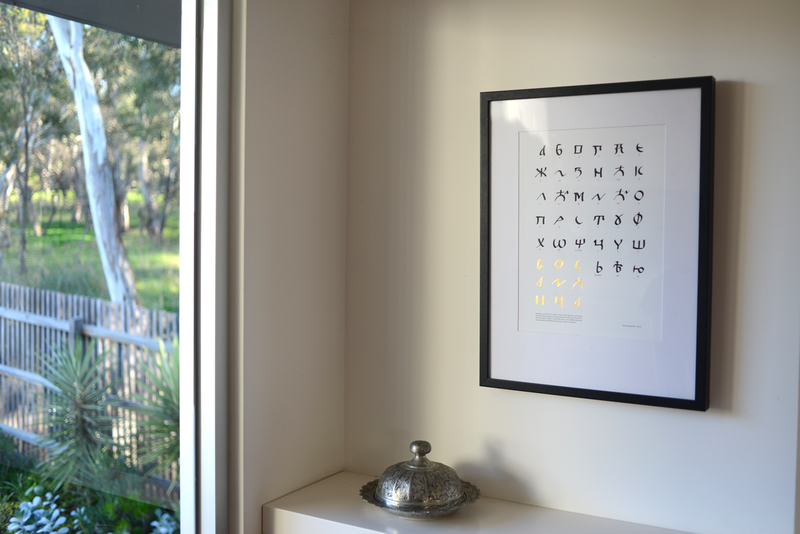 Emily has done calligraphy in the past, so we decided to create a limited series of hand calligraphed posters. Given the amount of time and craftsmanship that goes into these, they are our premium product and strictly limited to a series of 50 numbered posters. Being my first print project, I had to learn about different printing techniques. I investigated offset printing, giclée printing and letterpress. We decided to print the standard product on an offset printer, but would add letterpress printed posters as another premium product. 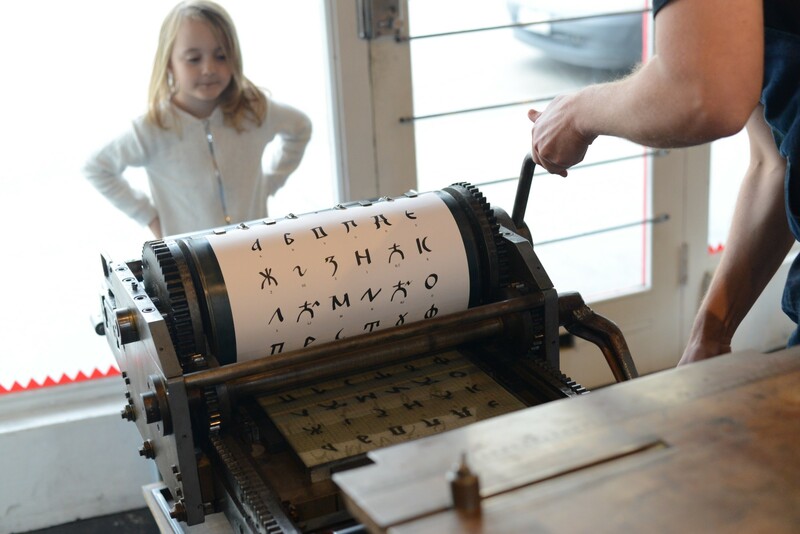 Letterpress posters are more expensive to produce, but we were charmed by the traditional process of letterpress printing, and thanks to the folks at The Hungry Workshop, I was able to have a go on one of their machines and experience the process first hand. Letterpress technique produces a beautiful three dimensional effect on the posters, which creates a nice tactile feel in the final product. We decided that our standard product would be similar to Goran’s, but instead of drawing the letters in software, I took the calligraphed letter forms produced by Emily and converted them to vector form. This added another dimension of authenticity to our product. This was actually one of the major design decisions — we decided to vectorise using an app called Cocoapotrace. This meant that the character of the hand calligraphed letters was preserved, rather than being smoothed out by a manual vectorising process. 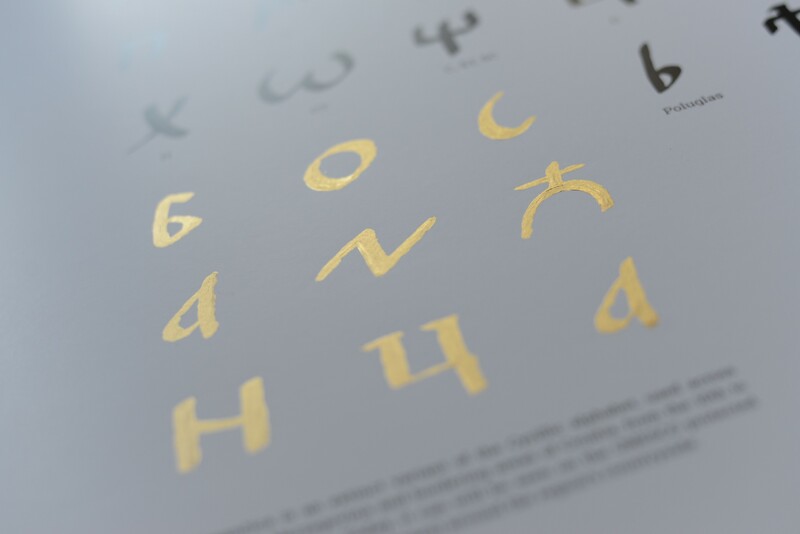 Each of the products has 9 letters gilded in gold leaf — they spell out “bosančica” in the script itself. The process of gilding with gold leaf is both time consuming and intricate. It requires a number of materials and tools unique to the process, and researching this was all part of our learning along the way. 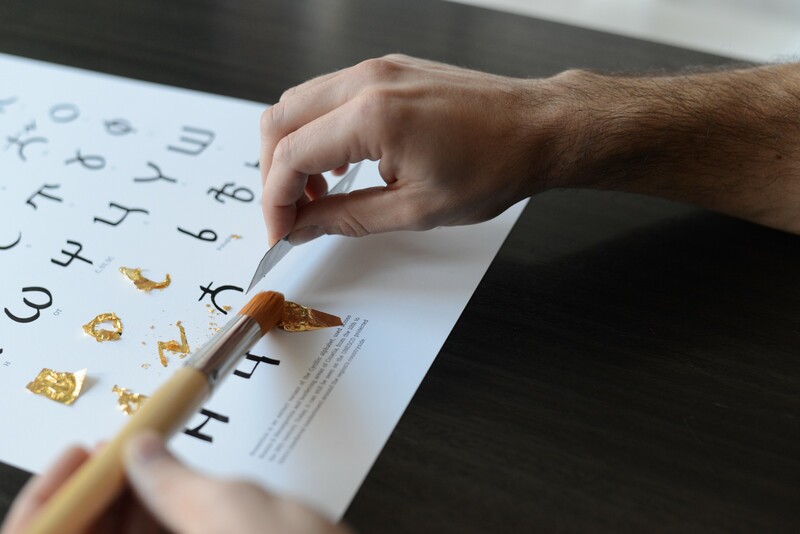 Gold size (adhesive) must be applied accurately to each letter to be gilded. You then have to work quickly with the super delicate and fragile gold leaf, to apply it before the gold size dries. We both work with computers in our day jobs, so it was nice to create something so delicate with our hands. It wasn’t all about manual craft. We also had to learn about ecommerce platforms and digital marketing. We evaluated a number of ecommerce platforms, including Shopify, Squarespace, Weebly and Wix. Although Shopify and Squarespace are the most popular and well established options, we decided to go for BigCartel because they provided everything we needed, at a much cheaper price. We wanted to keep the operational costs as low as possible, so that we could in turn keep the price of the posters down. You don’t have to have an original idea to create something unique — start with another idea, evolve it and make it your own. People can be very generous with their ideas — thanks Goran! Setting up an online shop is dead easy — instead of watching the idiot box, you can do it in a couple of evenings. We learnt a hell of a lot about different printing processes. As a designer who missed the whole ‘design for print’ thing, this was really cool to go through. I fell in love with letterpress and will definitely use it again. 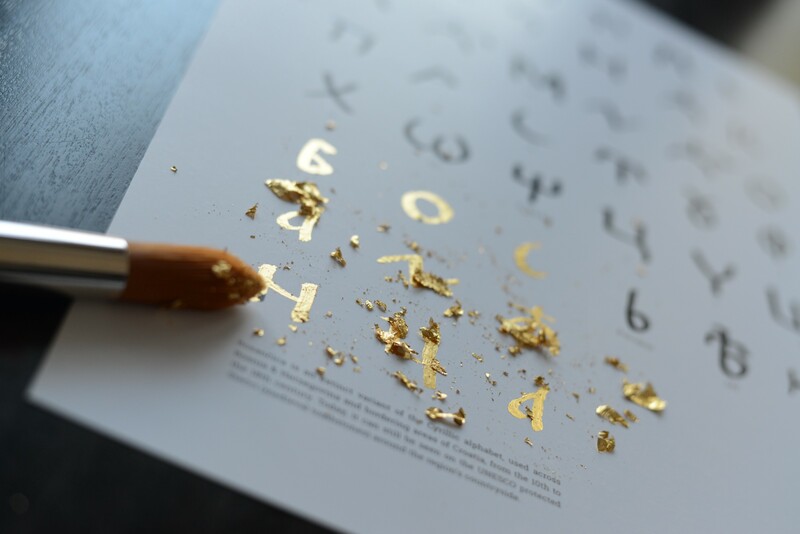 The process of gold leaf gilding is as frustratingly tedious as its result is beautiful. It’s scary how powerful Facebook ads demographic targeting is. Creating something physical is incredibly rewarding. Without Goran Peuc being open to having his idea remixed this wouldn’t have happened at all. Thank you. Jenna from The Hungry Workshop was as accommodating as it gets. From offering advice to sending me samples of multiple stock types and letting me come in and document the process, their service was amazing. Chris Barker at Ellikon was helpful in every step of the way, answering all my noob questions about offset printing. If you ever need some printing done in Melbourne, hit these guys up — their customer service is second to none.